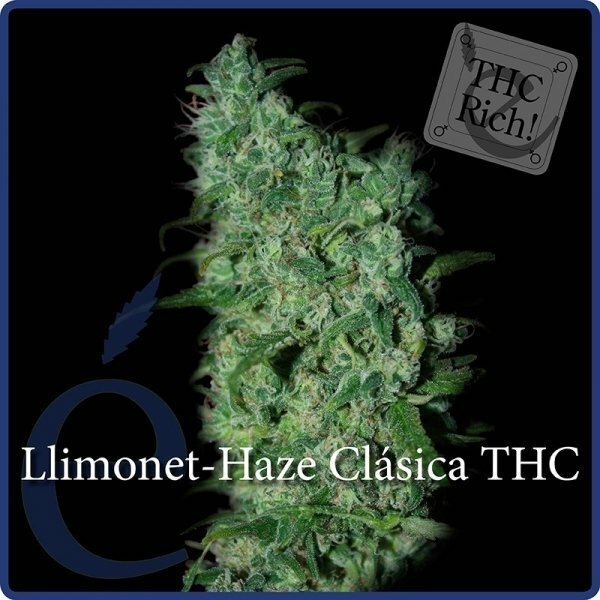 Llimonet Haze Classic THC by Elite Seeds is a wonderfully tasting Sativa dominant strain that beautifully blends fruity notes with oriental spice notes into a superply eclectic flavour profile. With 19% of THC, this Sativa makes for a potent, cerebral and uplifting effect. Growers will love her natural resistance to pests and cannabis diseases. Yet another of Elite Seeds’ stellar high-THC strains, Llimonet Haze Classic THC combines many awesome features into a great sativa. Cannabis enthusiasts will love the eclectic flavour mix that combines fruity notes with exotic aromas perfectly. This superb Haze is also very easy to grow since she has a natural resistance to many common cannabis pests and diseases. Elite Seeds new 95% sativa Llimonet Haze Classic THC can be a top choice to grow if you have little or no cannabis growing experience. This strain has a natural resistance against pests, fungi and many other common cannabis problems which makes growing her easy as pie. 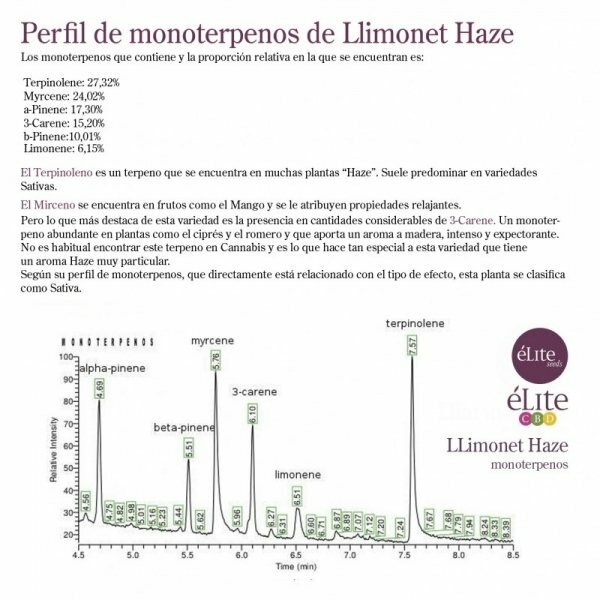 Llimonet Haze Classic THC also brings some substantial growing vigour to the table that will especially show when you grow her outdoors in optimal conditions. This plant will grow an abundance of glistening buds that will be sticky with resin, emanating a wonderful intensive scent that blends citrus flavours with notes of incense. Smoking Llimonet Haze Classic THC can only be described as an experience of pure pleasure where flavours of citrus, ginger and anise meet exotic incense tones. The sativa-dominant strain measures about 19% of THC which makes for a very potent and powerful cerebral high. Her effect is wonderfully uplifting and euphoric and can be ideal to help with depression and other mood disorders. Llimonet Haze Classic THC by Elite Seeds is a superb sativa, that should be high on the list of plants to grow for any sativa lover. With her potency, uplifting high and superb aroma she definitely won’t disappoint!